When it comes to facilities management software, the reality is that systems aren't ready 'out of the box' to meet organizations' unique needs. They must be integrated with other systems in the IT infrastructure and configured to address particular facilities management requirements. IMAGINiT's Facilities Management consulting professionals are committed to working with clients to define and deliver comprehensive facilities management solutions that meet the specific challenges and business goals of each client. With a Strategic Process Review, we can identify and uncover the gaps between business requirements and the current approach to facilities management. These gaps may require modifications to workflow processes and standards, new types of software or better integration with existing information systems. 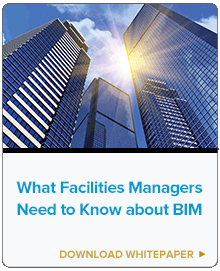 Identifying problem areas that prevent the most productive and efficient use of facilities management software. Analyzing technology implementations and facilities management needs, as well as recommend ways for the tools to integrate in order to deliver the intended results. Creation of a consolidated set of requirements, recommendations and an implementation plan, based on group interviews and feedback. The IMAGINiT Facilities Management consulting team brings years of experience and knowledge of best practices to the table. As a result, clients avoid wasting internal time and resources trying to develop end-to-end facilities management solutions that meet their requirements. 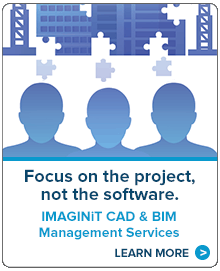 Through its individualized consulting services, IMAGINiT empowers clients to optimize ROI, reduce asset life cycle costs and deliver timely facility, property and asset information across their organization.